Here’s another beach scene from Southampton, New York, without the actual beach included. 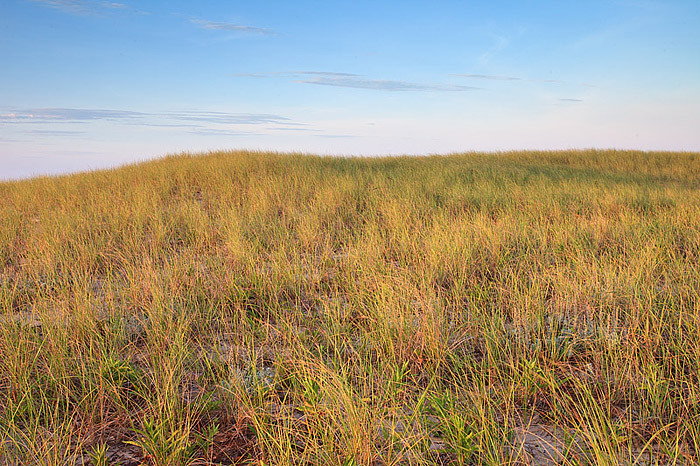 The dunes along Dune Beach are quite impressive for the area, and I have to assume how Dune Beach garnered it’s name. I had another successful shoot this morning and on my way off the Beach I almost walked right past this scene. I had envisioned photographing a scene like this many times during my visits out to the east end. In the past I’ve not quite been able to get all the visual elements to fall into place to create the image I was looking for. After a successful morning photographing I find myself falling into a zone. I would compare it to a similar feeling that one gets after a runners high. I relax, my mind opens up a bit and I’m able to study the elements within the scene with a little less bias and preconceived ideas. I often create some of my most unique and rewarding imagery on the back end of a shoot when I’m experiencing this sort of ‘photographers high’. During this time however, I can often wander right past interesting imagery as I’m busy contemplating, thinking to myself. This almost happened to me this morning as I was heading off the beach. I felt great, had captured some beautiful images and my mind was pondering other things as I walked through the sand. I decided to stop for a moment to readjust my backpack only to look up and see this scene unfolding before me. It was a good thing my backpack distracted me enough so that I had a moment to reevaluate the scene. Posted in Beaches and Oceans, New York, The Hamptons on August 5, 2011 by Tom Mangan. ← Previous: "After The Rain, Halsey Neck Dune Fences"